For most homeowners, the most stressful time of year with regards to yardwork is winter. Even though most of the hemisphere is bogged down in snow and rain, the cold temperatures make life outdoors iffy for most landscaping. Grass, especially, often takes a hard hit in winter, which is why so many homeowners are concerned about how best to winterize their lawns. If you were parched and starving all year long, you probably wouldn’t survive a winter outside. The same is true of your lawn: If you aren’t taking good care of it in the spring, summer and fall, even the best winterizing tricks won’t do much good. While it’s good to think about your lawn health for next winter, you should set your sights on lawn care activities for the upcoming seasons, too. Here’s a seasonal lawn care guide to keep your grass green when you want it — and healthy but dormant when winter does come. In early spring, the snows should be mostly melted and your lawn should be waking up and turning green. All winter long, the grass was dormant — this doesn’t mean it dies; rather, it lets the above-ground parts turn brown and dry while it focuses on growing deeper roots and keeping warm. When temperatures start to rise, the new, bright-green blades should begin appearing, and you should do what you can to facilitate this awakening and growth. Specifically, you want to remove any debris that might block sunlight or become compacted into the soil. Sweep away any lingering snow and rake up fallen leaves, sticks and branches resting on your lawn. This allows more air to penetrate to the soil, and it removes hiding places for pests that can spread lawn disease. By this time in the season, your grass should be growing in earnest, which means it’s time to start really strengthening it for the rest of the year. Your first step should be fertilizer — ideally a high-nitrogen variety to boost active growth. You should look for bags with higher first numbers, like 16-6-4, to ensure you are applying the right type. Then, you should spread your fertilizer evenly across your lawn using a drop spreader, which you can rent from your local home improvement store. If your area suffers heavy snows during the winter, it’s a good idea to aerate when you fertilize, too. Aerating means poking small holes in your lawn, so water and fertilizer can reach the soil. If snow, thatch, debris or heavy traffic caused your lawn to become compacted over the winter, aerating will help your grass grow healthily from the start. 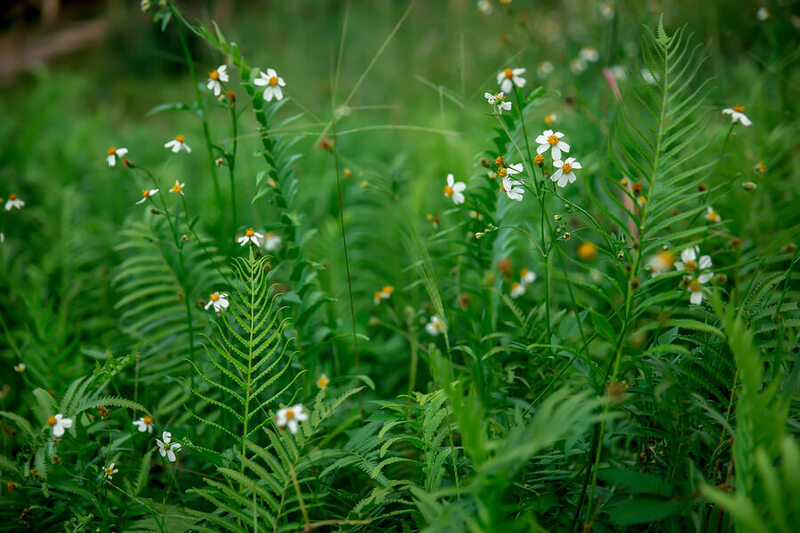 You should begin mowing in mid-spring, to encourage your grass to grow think and crowd out weeds. You should set your lawn mower to the longest setting and mow every one to two weeks. You might also want to spray a pre-emergent herbicide on your grass if your area suffers from rampant weeds. When temperatures really heat up, you want to pay more attention to pests that might want to make a home out of the cool, moist environment of your lawn. Grub worms from various beetles might start wriggling through your grass, feeding on the root systems and causing brown, dead patches. You should only spray insecticide if you are certain that grubs are the culprit, and for that, you might want to call in experts to diagnose and administer treatment effectively. By now, you should be cutting your grass at least once per week. 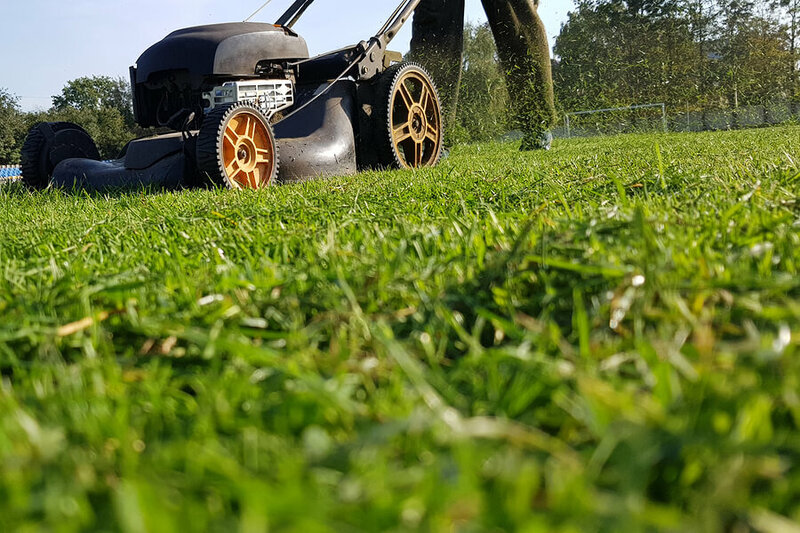 You never want to remove more than 1/3 of the length of the grass, so if your lawn grows fast, you might need to pull out the mower twice per week to keep the lawn thick and lush. Your main concern in summer should be water. Because temperatures are high and sunlight is bright, water will evaporate off your lawn quickly. Thus, you should schedule your waterings for the early morning, when temps are still relatively low but when excess water won’t cause a swamp that attracts pests and drowns grass roots. You might conduct the tuna can test — leaving several tuna cans (or any shallow containers) around your lawn during a watering to catch water — to ascertain how much water your lawn is receiving each week. It should be between 1 and 1.5 inches. If you have done enough in spring and summer to keep your lawn healthy, it will be ready to power down in fall and sleep soundly in winter. You should continue mowing and watering until the first frost; after then, only turn on your sprinklers when you haven’t seen rain in a few weeks and temperatures are mild. Whenever you can, remove debris from your lawn, and avoid walking on it while it slumbers. But again, if you don’t do anything this coming spring, your lawn won’t survive next winter.